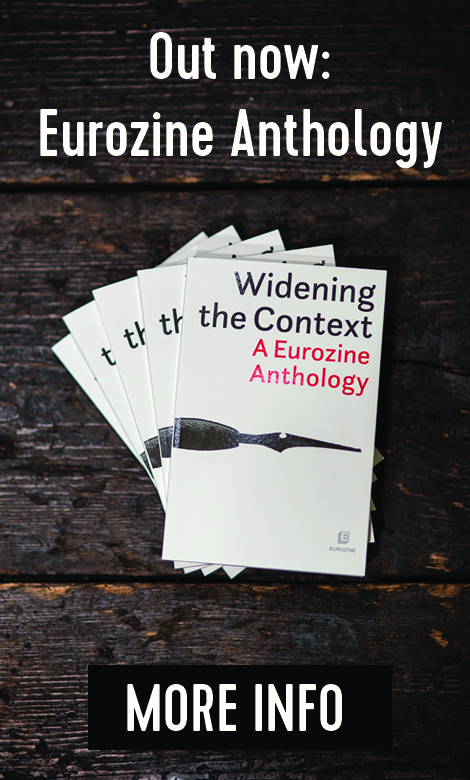 Dirty money from the East has become a resource for dozens of European structures and politicians. Sergii Leshchenko reports on some of those that are only too happy to open their doors to a Ukrainian oligarch willing to invest millions in cleaning up his image. Oligarchs were the main beneficiaries of Viktor Yanukovych’s authoritarian regime in Ukraine. Yet they didn’t vanish into thin air after the Ukrainian Revolution of Dignity a year and a half ago. The oligarchs may have lost the patronage of Yanukovych, who helped them acquire their vast fortunes. However, Yanukovych also creamed off some of their profits and shares in stocks in exchange and so, after his demise, they had a free hand to operate without having to share their profits with anyone. One of the oligarchs closest to Yanukovych was Dmytro Firtash. He made his fortune as a shareholder in RosUkrEnergo, the opaque gas company founded by Semion Mogilevich, one of the FBI’s most wanted fugitive criminals who acted as middleman between Ukraine and Russia. Under the previous regime, Firtash secured access to the powers-that-be through his closest associates: Sergei Liovochkin, who held the post of head of president Yanukovych’s administration; the energy minister and deputy prime minister Yury Boyko; and Yevgeny Bakulin, head of the state oil and gas monopoly Naftogaz Ukrainy. The oligarch allowed Yanukovych to make use of his Inter TV channel, a major broadcaster particularly popular with the Party of Regions constituency, while Firtash’s business, in turn, was of great interest to Yanukovych – on the only occasion when journalists were invited to the president’s luxurious residence, they saw on the president’s desk a brochure of the oligarch’s investment firm Group DF. Ukrainian prosecutors are currently investigating Firtash’s involvement in the notorious privatization of the monopoly provider Ukrtelecom, which was carried out without a competitive tendering process and accompanied by financial machinations. At the same time, Firtash’s reputation was seriously damaged as his name kept cropping up in connection with Russian organized crime. The oligarch himself, as documented by WikiLeaks files, once confided to the US ambassador that he had made use of Semion Mogilevich’s services to protect his business from attacks by competitors. Although Firtash hoped that this admission would secure him some concessions, it wasn’t enough to have his US visa ban lifted. However, his previous problems with travel to the United States were nothing in comparison to what happened in March 2014. Dmytro Firtash was arrested in Vienna on his arrival from the fashionable French ski resort in Courchevel where he celebrated 8 March, International Women’s Day, once a popular Soviet holiday. 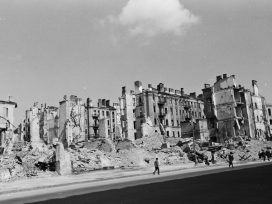 Firtash had made Austria his second homeland many years earlier. Austria is the headquarters of his Centragas Holding GmbH, a company that officially holds 50 per cent of RosUkrEnergo shares. And it is here that he has cultivated long-standing links with politicians, lawyers and bankers. A client of the Raiffeisen bank for many years, he registered his company in Austria and was friendly with the local elites. That is why, even in his worst nightmares, he could not have imagined that he might be detained on an FBI warrant in Vienna, practically on his “home turf”. The oligarch was detained as part of a criminal investigation. In the indictment issued by the US District Court Northern District of Illinois Eastern Division, Firtash is described as the head of a criminal organization that had bribed Indian public officials to obtain licences for the mining of ilmenite, to be used in the manufacture of titanium to be supplied to Boeing. The investigation claims that the oligarch had paid kickbacks to officials in an Indian state amounting to 18.5 million US dollars. After a week in detention, Firtash was released on bail of 125 million euro, which was posted by Vasily Anisimov, an oligarch close to the Russian regime; this was the highest amount of bail in Austrian history. In the spring of 2015, a Viennese court of first instance turned down the US extradition request. However, this has not solved Firtash’s main problem, since the US extradition request is in force worldwide. In an attempt not to be branded as a money launderer and to save himself from being transported to America in handcuffs, Firtash has launched a multifaceted campaign to clean up his image, recruiting dozens of politicians, intellectuals, lobbyists and cultural figures in Europe and the US. Commanding Firtash’s Austrian bastion is Dieter Böhmdorfer, who served as Austrian Justice Minister from 2000 to 2004 and represents the extreme right Freedom Party (FPÖ). He is the oligarch’s personal lawyer, and a team of lawyers under his command secured the first instance court’s decision not to grant the US extradition request for Firtash. The background of Firtash’s media advisor Daniel Kapp is no less illustrious. Kapp is linked to the former leader of the Austrian People’s Party (ÖVP), Josef Pröll, who currently runs Leipnik-Lundenburger, an investment company that is part of Raiffeisen Holding. Kapp served as press secretary to Pröll from 2008 to 2011, when the latter was Austria’s finance minister and vice- chancellor. Kapp’s boss, the former Austrian vice-chancellor Josef Pröll, a cousin of the governor of Lower Austria, has always had close links with the Raiffeisen group. It is worth mentioning that Raiffeisen had acted as a front for Firtash at a time when he was still hiding his involvement with RosUkrEnergo. However, apart from securing purely legal protection, Firtash has also been waging a public opinion war. Pröll’s former Austrian government colleague Michael Spindelegger is a key figure in cleaning up the Ukrainian oligarch’s reputation, in his capacity as chairman of the Ukrainian Modernization Agency, an organization founded in 2015. For five years, from 2008 to 2013, Michael Spindelegger served as Austria’s minister of foreign affairs. That explains his contacts in the international arena, which he is now trying to exploit in Firtash’s interests. In addition, Spindelegger held the posts of Austrian vice-chancellor (2011-2014) and finance minister (2013-2014). And, like Pröll, he had been the chair of Austrian People’s Party, which has close links with Raiffeisen. The Agency for the Modernization of Ukraine was founded on 3 March 2015 in the luxurious setting of the Ferstel palace. It was here that Firtash, who is banned from leaving Austria, announced a new Marshall Plan and an investment of 300 billion US dollars in Ukraine’s economy. The star-studded launch of the Agency for the Modernization of Ukraine boasted names of politicians past and present said to support the initiative. However, as details began to emerge, some confusion ensued. Spindelegger, who had envisaged Karl Schlögl as the Agency’s director, went as far as to announce publicly that the former Austrian minister of internal affairs (1997-2000) would take up the post in Firtash’s agency. However, after a first wave of criticism, Schlögl turned the offer down on grounds that sounded mildly amusing – the former government minister claimed to be too busy to take on the assignment whereas, in fact, Schlögl was at the time mayor of Purkersdorf, a tiny town of 9,359 inhabitants. 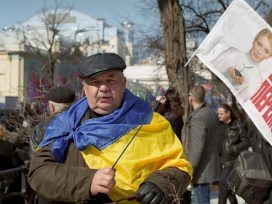 The oligarch’s idea was to attract as many influential western politicians to the Agency for the Modernization of Ukraine as possible, using their reputation to shore up his own image. During the Agency’s launch, information sheets listing names of famous people who had agreed to work for Firtash were handed out to journalists. The list included, among others, EU Commissioners Günter Verheugen, Stefan Füle and Peter Mandelson, Germany’s former finance minister and candidate for Social Democratic chancellor Peer Steinbrück, as well as former French foreign minister Bernard Kouchner. Nevertheless, Firtash’s recruitment drive failed spectacularly. One after the other, the retired stars whose names had been announced began to disown the Agency for the Modernization of Ukraine as soon as they realized the kind of company they had found themselves in. Bernard Kouchner refused to cooperate with the Agency even though he had already signed a contract, while Peer Steinbrück dropped out after visiting Kyiv to make enquiries about Firtash before signing the contract. In fact, the only person on the celebrity list who has actually agreed to work for Firtash is Günter Verheugen who goes around handing out business cards presenting him as the managing director of the European Experience Company, a consulting firm that offers paid services. The company’s executive managing director is Verheugen’s former assistant from his EU Commissioner days, Petra Erler. Every retired politician gave his own reasons for refusing to work for Firtash but, invariably, the unofficial reason has been their unwillingness to be seen as linked to an oligarch with his damaged reputation. For example, Peer Steinbrück, who had been slated to head the “finance and taxation” section post, actually faced a boycott from Ukraine’s finance minister Natalya Yares’ko. She refused to meet Steinbrück during his trip to Kyiv in the spring of 2015, for fear that she might be accused of links with the oligarch’s “agents of influence”. Other intrigues preceded the visit. For example, before travelling to Ukraine, the German politician was briefed by the Ukrainian Modernization Agency not to meet with the author of this article who is known for his critical views of Firtash, and advised to meet the oligarch’s political associates, Yury Boyko, a Party of Regions MP, as well as the sister of Sergei Liovochkin. After a number of influential figures pulled out, three celebrity names were announced as the Agency’s founding fathers: the controversial French writer Bernard-Henri Lévy; the German MP and chair of the Bundestag’s Ukrainian-German group Karl-Georg Wellmann; and Richard Risby, member of the British House of Lords. In fact, the founding documents feature a completely different set of people. Apart from Austria’s former Foreign Minister Michael Spindelegger the list includes German businessman Udo Brockhausen, known in the media as a political consultant. The third person listed as the Agency’s founder is Spindelegger’s economic consultant Johannes Kasal, who started working for him twenty years ago. Kasal joined Firtash’s Agency after Karl Schlögl dropped out, on the grounds of being too “busy” as the mayor of the tiny town. While these names were widely publicized in the media as the Agency’s founders, there has been no mention of the fourth founder. Nevertheless, official documents show1 that the Ukrainian Modernization Agency does have one more founder, a more than dubious character. This man, Vladimir Granovsky, is a Ukrainian political consultant who worked for former president Viktor Yanukovych in 2004. While on Yanukovych’s staff, Granovsky was in charge of ideology. His team included Russian consultants Timofey Sergeytsev and Dmitry Kulikov. 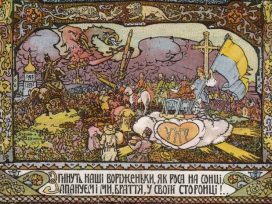 They are the authors of pamphlets that divided Ukrainians into three types, which were subsequently used by Russian propaganda. According to witnesses, Granovsky attended the inauguration dinner of the Ukrainian Modernization Agency in the company of the very same Kulikov. In the last year of Yanukovych’s presidency Granovsky worked on projects linked to Viktor Medvedchuk, whose daughter’s godfather is President Putin. 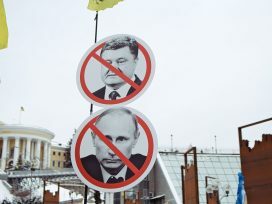 He also participated in a campaign aimed at blocking the Ukraine and EU Association Agreement. Granovsky set up base in the wealthy London borough of Kensington and Chelsea, having bought a property in Wycombe Square for almost 5.4 million dollars. Vladimir Granovsky, Dmytro Firtash, Mikhail Papiev. Photo:Sergii Leshchenko. 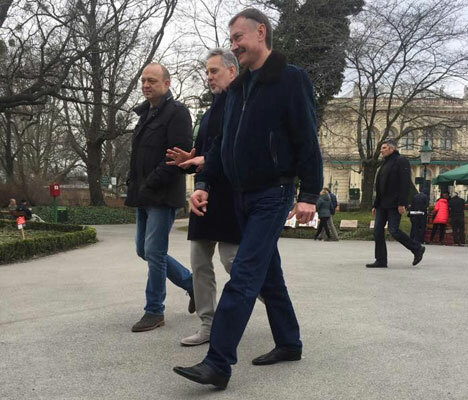 It appears that Granovsky continues to act as one of Firtash’s principal consultants: on the eve of the court hearing on the oligarch’s extradition to the US, the two men were seen walking in a Vienna park in the company of another Ukrainian MP, Mikhail Papiev. Granovsky then attended the actual extradition hearing. His name is likely to crop up in connection with Firtash in the future. The Austrian-based Ukrainian Modernization Agency has a “sister” organization in the United Kingdom, in the upmarket London district of Knightsbridge. Another base of Firtash’s interest is located near the Mandarin Oriental hotel and One Hyde Park, the fashionable new residential complex, which is home to another Ukrainian oligarch, Rinat Akhmetov. The agent of Firtash’s influence in the United Kingdom is the British Ukrainian Society (BUS), an organization headquartered at 25 Knightsbridge.2 Its publicly declared mission is “strengthening the ties between Ukraine and the United Kingdom at all levels” by “providing a platform for closer contact and cooperation between the two countries in the fields of politics, business, culture, education and science”, according to the organization’s website. In fact, BUS was founded in February 2007 as a private organization with two directors: Robert Shetler-Jones and Richard Spring. The latter, since being awarded a life peerage, has been known as Lord Risby. Since March 2015 he has also been mentioned as a founder of the Ukrainian Modernization Agency. Robert Shetler-Jones is one of the people closest to Firtash. He was the CEO of Firtash’s parent company Group DF from its inception until August 2012. Currently he is a member of the Group DF Supervisory Council, chaired by Firtash. BUS resides in the same office building in Knightsbridge as Scythian Limited, a company run by by Shetler-Jones (he is listed as its director in the BUS founding documents). Until he received his peerage, Lord Risby was a member of the House of Commons. As an MP, Richard Spring, as he then was, was obliged to declare payments he received in compensation for his work in his capacity as BUS director. In 2007 and 2008 the future Lord declared receiving between 35,000 and 40,000 British pounds annually for this work. Apart from Lord Risby, Firtash’s circle of UK lobbyists includes the MP John Whittingdale. He is the former chair of the parliamentary group on cooperation with the Ukrainian parliament and a frequent target of criticism from the LGBT community for his homophobic views. Following the 2015 election, Whittingdale was appointed secretary of state for culture, media and sport. Whittingdale has attended numerous events abroad, with expenses paid by BUS. In particular, he took part in Ukraine Tomorrow, the Vienna meeting that launched the Ukrainian Modernization Agency. Over the past five years BUS has reimbursed Whittingdale for travel expenses to the tune of almost 15,000 pounds, as documented on the British parliament website. In addition to Lord Risby and John Whittingdale, another man working for Firtash is Lord Oxford. Raymond Asquith, the third Earl of Oxford and Asquith, sits on the supervisory council of Firtash’s holding company Group DF, along with another British trustee, Robert Shetler-Jones. Until 1997, Lord Oxford was a career diplomat, serving first as first secretary at the British embassy in Moscow, then as counsellor at the British embassy in Kyiv, while also working for the UK secret services as an agent for MI6. Prior to his peerage, Lord Oxford ran the lobbying firm Asquith & Granovsky (later Asquith & Granovski) Associates for several years. The company also used the consultancy services of Lord Risby, then still Richard Spring MP. Granovsky’s and Lord Oxford’s company paid Spring 35,000-40,000 pounds in 2006; subsequently he started receiving payments from BUS. This provides further evidence that the British Ukrainian Society is but a front for Dmytro Firtash’s agents of influence – Vladimir Granovsky, Robert Shetler-Jones and Lords Oxford and Risby. An eyewitness described to the author how Lord Oxford tried to influence Ukrainian politics. In the spring of 2014, after the Revolution of Dignity, three members of the Ukrainian parliament visited London. They were Petro Poroshenko, who was running for president; leader of the UDAR political party Vitali Klitschko; and the Fatherland party member Andriy Shevchenko. Their visit was scheduled to include meetings with prime minister David Cameron as well as with representatives of the UK opposition. According to my source, Lord Oxford tried to get into the Ukrainian politicians’ meeting with the then Labour leader Ed Miliband, and almost managed to enter the room booked for the talks as a member of the Ukrainian delegation. When questions were raised about his presence he introduced himself as an adviser to Viktor Klichko, thus confirming, once again, the rumours of Firtash’s influence over the boxer-turned-politician. Apart from the individuals listed above, Firtash enjoys the PR support of Lord Bell, former political consultant to Margaret Thatcher, who helped her win three parliamentary elections. Lord Bell, whom Thatcher rewarded with a peerage, uses the company Bell Pottinger to represent his clients’ interests. The person who provides the link between Firtash and Bell is Anthony Fisher, senior consultant with Bell Pottinger and director of the Firtash Foundation. And the list of clients in Fisher’s Curzon PR portfolio includes members of Ukraine’s government under Viktor Yanukovych. Anthony Fisher, jointly with the Ukrainian oligarch’s top manager Robert Shetler-Jones, is a co-founder of Scythian Limited. The company was engulfed in scandal a few years ago when British prime minister David Cameron refused to appoint Dame Pauline Neville-Jones as national security adviser after being warned that she had received payments from Scythian Limited in the order of tens of thousands of pounds. In addition to investing in politicians, Firtash has supported education and the arts in an attempt to clean up his image. He has funded a centre of Ukrainian Studies, which was set up in Cambridge in 2008, introducing a grants programme in 2010. Among the attendees of a private gathering at the Saatchi Gallery, Firtash Foundation features in the list of gallery patrons immediately after Chanel. It seems that Firtash had intended to turn Britain into a foothold for growing his business, developing political links and whitewashing his CV. In 2013, he acquired property in London not far from the BUS office, at 12a Brompton Square. His wife Lada Firtash is listed as the owner of the property, the value of which was estimated at 1,950,000 pounds shortly before they bought it. However, the couple’s plans were seriously upset by the oligarch’s arrest in Vienna in March 2014. 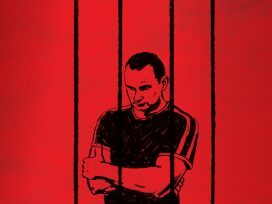 Even though Austria has turned down the US extradition request, the FBI warrant for his arrest remains in force worldwide. And to challenge the extradition request in a court would cost him much more in the United Kingdom than in Austria, and the chances of success would be much slimmer. The United States has been and continues to be Firtash’s main headache. The US criminal investigation against him is ongoing, based on the FBI’s charge of bribery in India. Resolving his US problems is, therefore, a key issue for Firtash. Information filed with the US department of justice shows that to this end the oligarch has hired Lanny Davis, a former adviser to president Clinton. The most illustrious among this lawyer’s impressive credentials is having served as Bill Clinton’s spokesman in lawsuits linked to allegations of illegal election campaign contributions. Now Davis has the task of extricating Firtash from charges brought against him by US prosecutors. On 22 April 2014, a month after Firtash was released from custody in Austria on bail, the oligarch signed up Lanny J. Davis & Associates in a deal brokered by Robert Shetler-Jones. According to documents filed with the US department of justice, Davis has agreed to help Firtash devise a legal and court strategy, as well as to help him “correct distortions and inaccuracies in the media and elsewhere”. “The service agreement envisages that (Lanny J. Davis & Associates) will be the main US manager in relation to all law suits”. “We will provide legal help with regard to the recent charges brought against Mr. Firtash by the Grand Jury of the Northern District of Illinois as well as other legal issues that may arise”, the contract states. Davis has undertaken to represent Firtash for a fee of 60,000 dollars per month and, if necessary, also to bring in Levick, a PR company he owns, at a rate of 25,000 dollars per month. Lanny J. Davis & Associates declared in its recent return to the ministry of justice that lobbyists received 412,486 dollars from Firtash in July-December 2014. Firtash has appointed as his contact person the Geneva-based criminal lawyer Ralf Isenegger. In 2000, Isenegger represented the Russian Pavel Borodin, head of the presidential property management department under president Yeltsin, who was arrested in New York on a Swiss warrant for receiving kickbacks of 25 million dollars during a major renovation of the Kremlin. However, while Lanny Davis openly acts as Firtash’s public lobbyist, some of his US lawyers have not declared the oligarch as their client. Another influential lawyer, Michael Chertoff, former secretary of homeland security in the second administration of George W. Bush, is a case in point. Chertoff was recruited as Firtash’s defence lawyer by Paul Manafort, an American political consultant who had spent over ten years helping the Party of Regions and Viktor Yanukovych stay in power. While working for Yanukovych, Manafort was in frequent contact with his chief of staff Sergei Liovochkin who, in turn, is Firtash’s political and business associate. Manafort has not only played a key role in devising Firtash’s defence against the US lawsuit. He has also helped Firtash acquire property in the United States – in 2008, the oligarch’s company started to negotiate a 885-million dollar acquisition of land in New York on which the Drake Hotel is located, with the idea of building of a 65-storey Bulgari tower on the site. However, this was not to be. Quite possibly, this was a stroke of luck because, had Firtash invested this astronomical amount in a Manhattan property, these assets would have been confiscated along with hundreds of other companies owned by the oligarch as part of the criminal case in the state of Illinois. As of early autumn 2015, Firtash’s future remains uncertain. The criminal investigation in the United States continues even though a key witness has fled to Russia and is beyond the reach of US justice. The Viennese court of first instance has refused to extradite the oligarch. However, this is not a final decision, and Firtash is not yet free to travel. He cannot return to Ukraine either because the ministry of internal affairs has launched its own criminal investigations into his companies. In addition, Ukrainian prosecutors are seeking information from the authorities in Cyprus on whether Firtash was a beneficiary of the non-competitive privatization of Ukrtelecom, which could also make him liable to criminal prosecution. 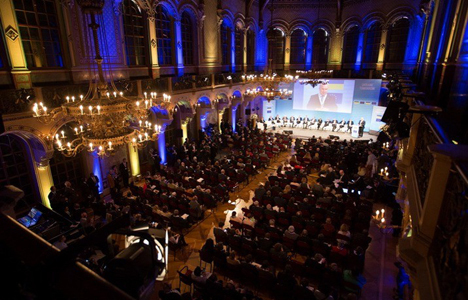 The International Forum Ukraine Tomorrow, Vienna, 3 March 2015. One of the initiators of the event was the Federation of Ukrainian Employers, an organization chaired by Dmitry Firtash. Nevertheless, Firtash continues to be an active player in Ukrainian politics through the Federation of Ukrainian Employers, a phantom association of industrial enterprises that he chairs. Firtash also exploits his media assets to promote puppet politicians in Ukraine. He has his agents of influence in many factions of the Ukrainian parliament as well as among people around Kyiv’s mayor Vitali Klitschko. In the West, Firtash has been sucked into a vortex of problems, which he is trying to solve through money. But by investing in western lobbyists he is not only opening a window for monies of dubious origin in Ukraine to flow into European politics. He is trying to make use of western virtues, such as the rule of law and democracy, having been instrumental in setting up an oligarchical system that has for many years suppressed these very values in Ukraine.